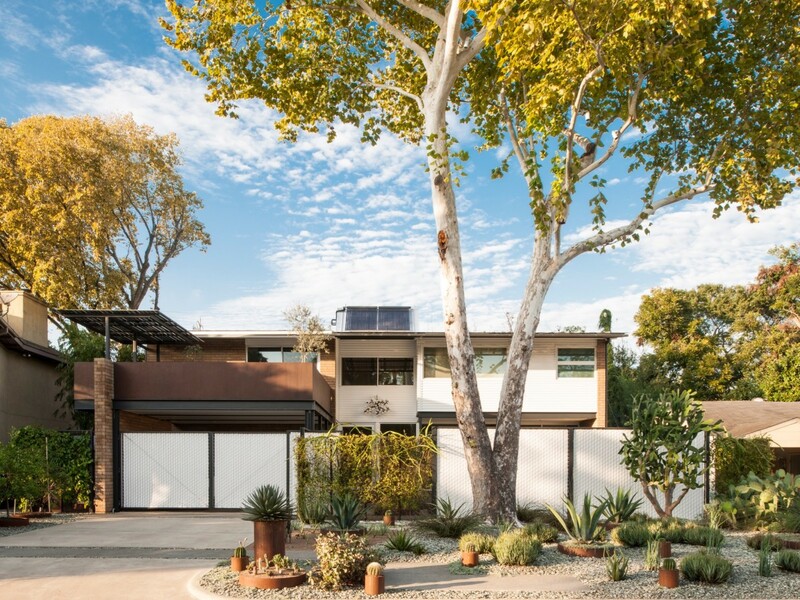 As would be expected of a LEED-certified dwelling, everything in the house is energy efficient down to the electric car and bicycles in the garage. 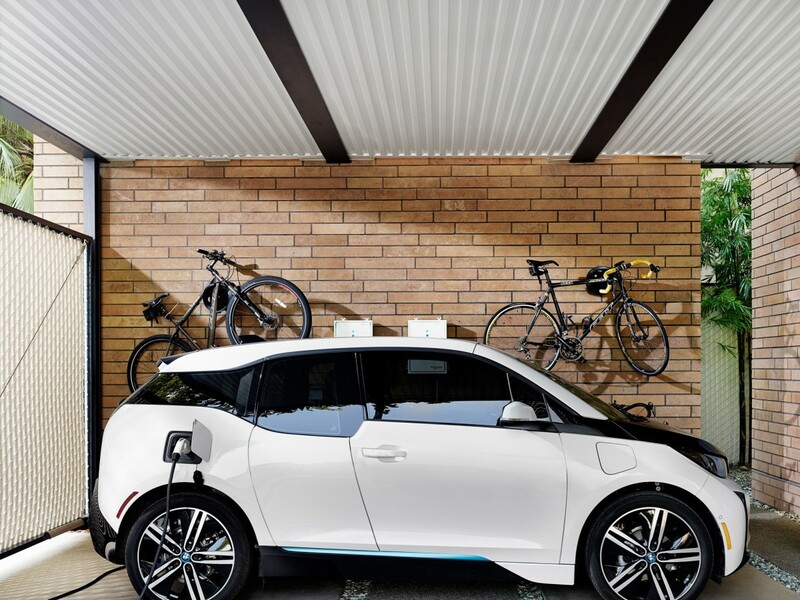 The garage has two electric-vehicle charging stations. Though illuminated by daylight throughout, the house also features 100-percent LED lighting. 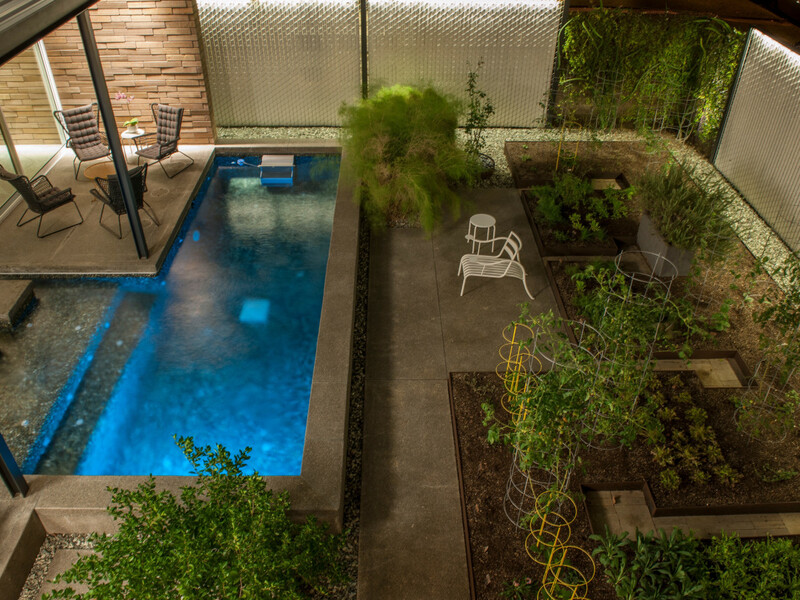 The entry courtyard features not only the 20-foot long pool but also a garden of vegetables including tomatoes. In her project statement, Lantz explains, "The premise for the design and construction of this home was informed by a seemingly simple set of questions: Is it possible to build a house using only materials and fixtures made in the USA? 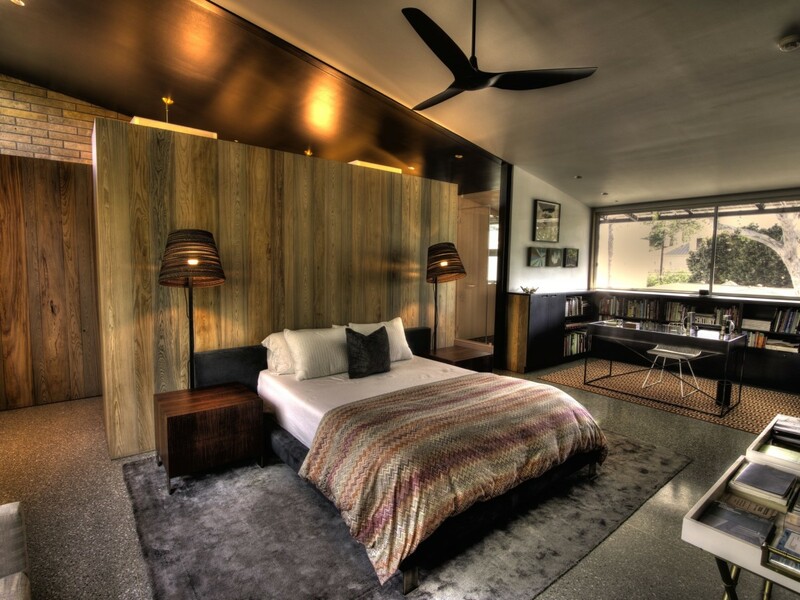 Can renewable energy become truly integral to design? " 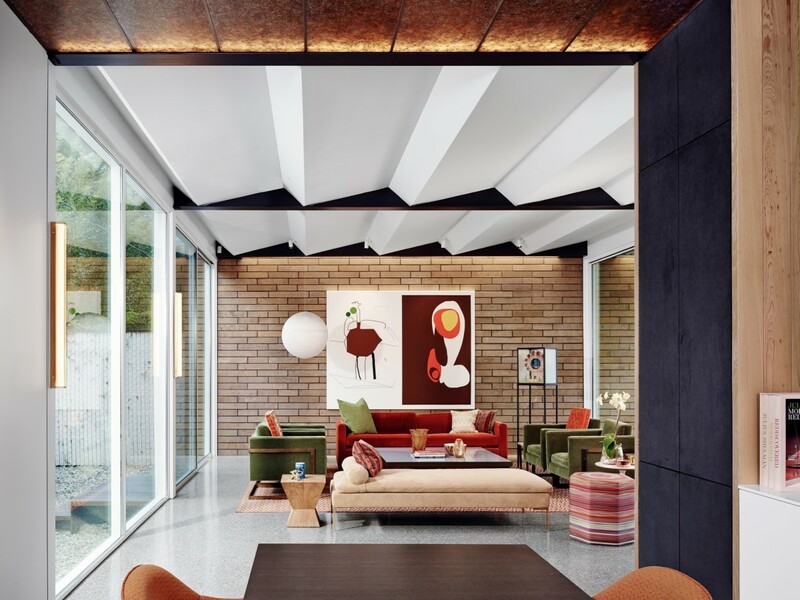 "When New York Times journalist Mimi Swartz visited the house during an early phase of construction, she dubbed it the (Almost) All-American Home, acknowledging the success of the house’s sustainable mission and inaugurating an important challenge to the profession." 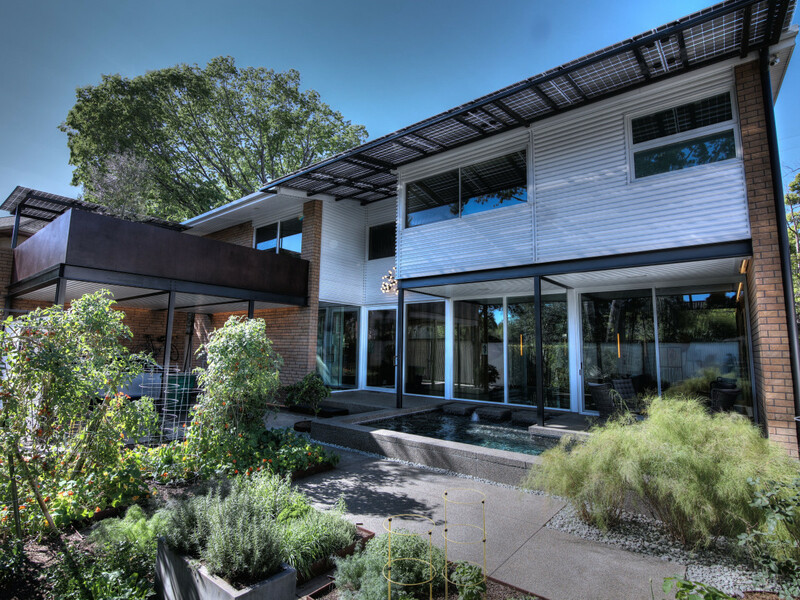 Built of Texas limestone and steel, the house features terrazzo throughout. 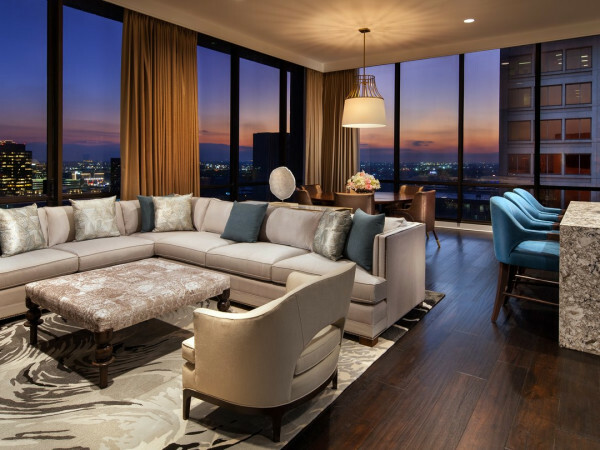 In the living room, glass walls on the north and south sides provide ample natural light as well as views to outdoor living spaces and garden. The ceiling, patterned in serrations, works to both improve acoustics and the flow of heat and cooling. The dining area in the home that draws on the legacy of Houston's mid-century architecture is defined by a reclaimed cypress wall. 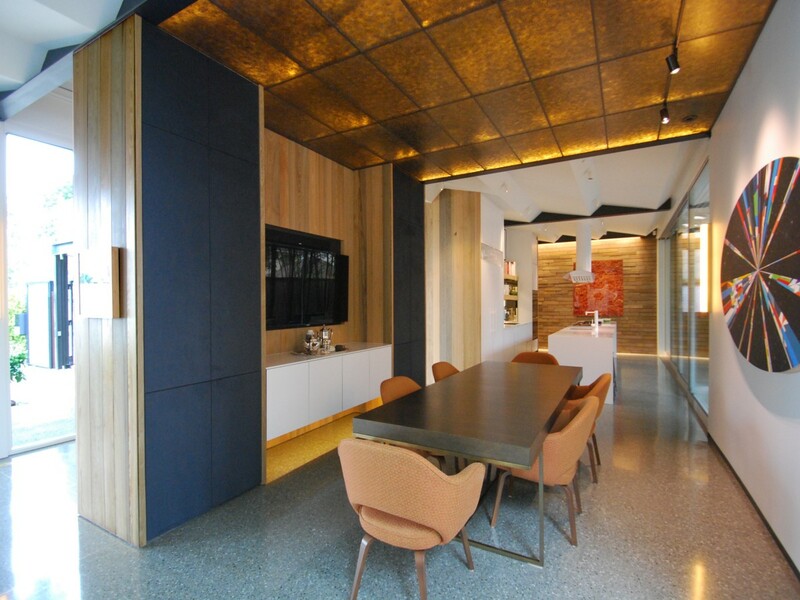 Gold-hued mica panels provide a warm glow from above. 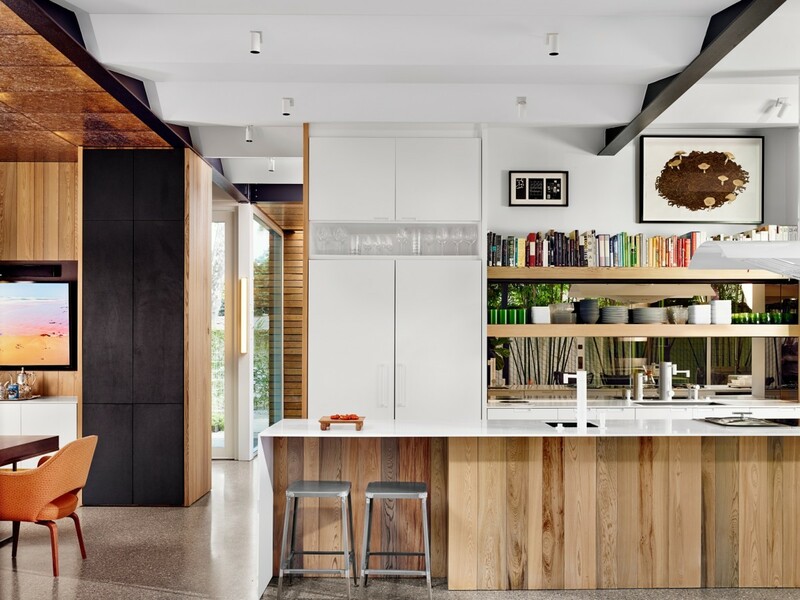 In the kitchen, outfitted completely with American-made appliances, the 19-foot island is built with reclaimed sinker cypress. Countertops are Corian. 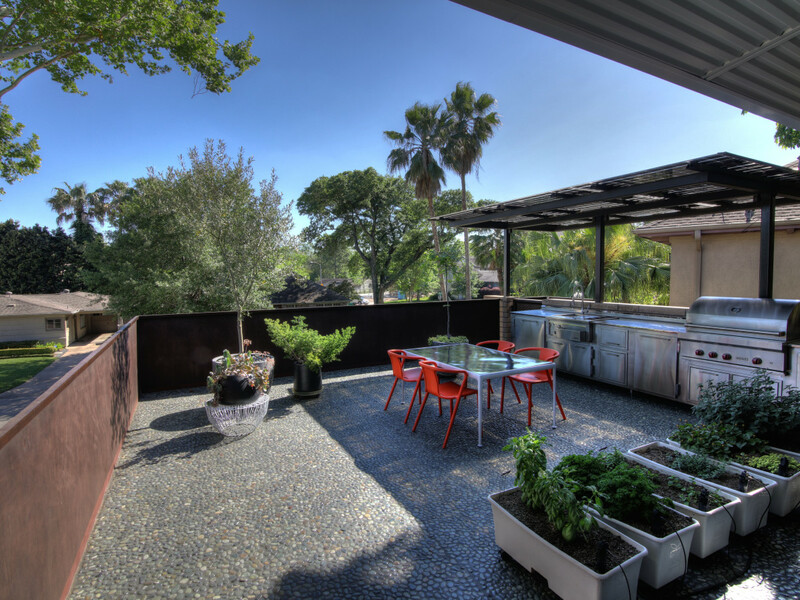 The screen porch off of the kitchen provides yet another area for entertaining as well as for al fresco relaxation. 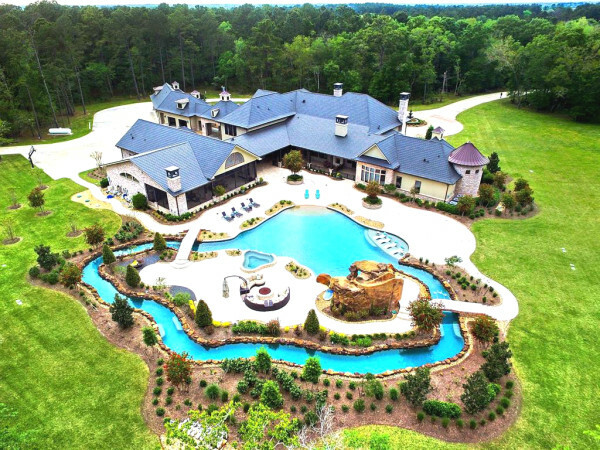 The home has three bedrooms, three full baths and two half baths. 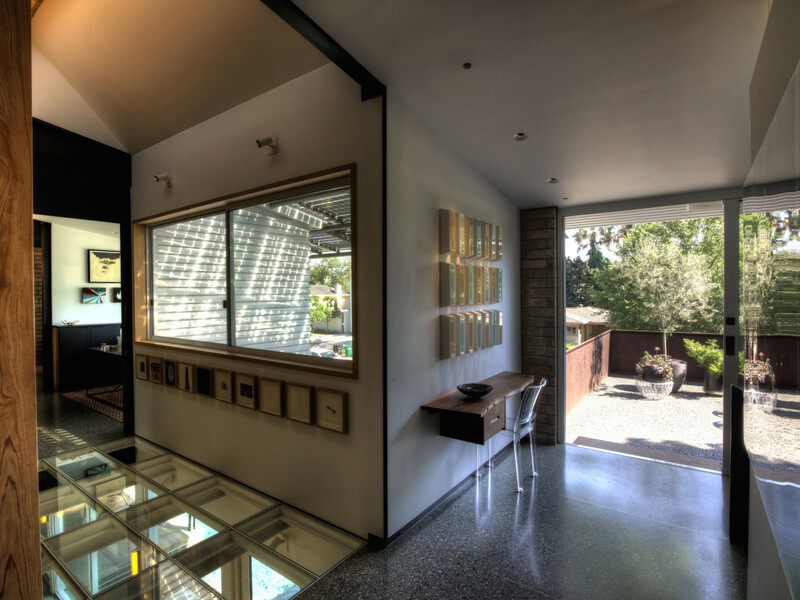 Above the ground-level entry, glass flooring allows light from the second level to pour through. 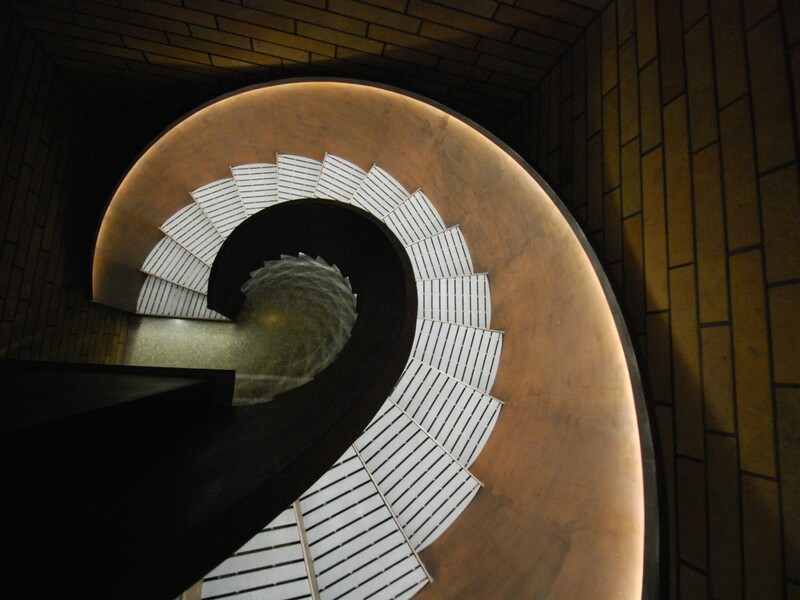 The dramatic, rolled-steel staircase leads to the basement entertainment area. 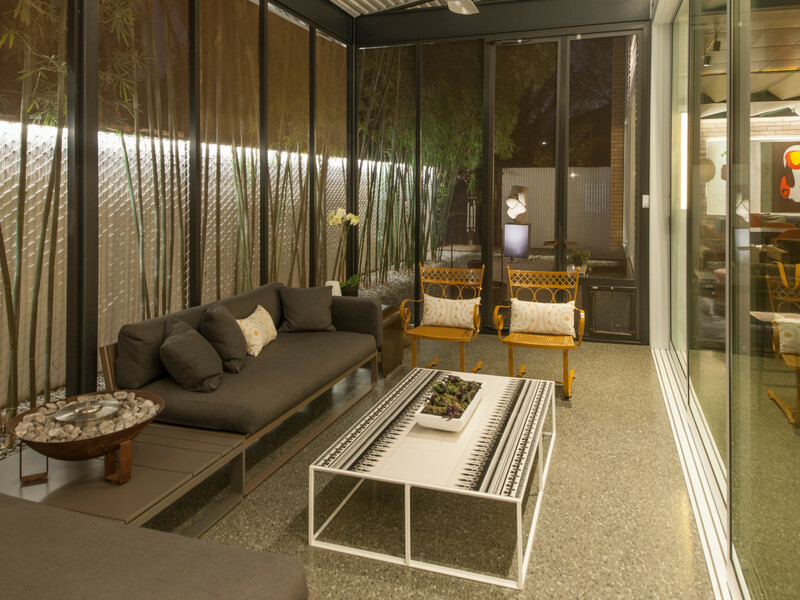 The 460-square-foot roof terrace on the second floor is wrapped in oiled steel. The planters are filled with herbs used in the couple's kitchen. Rainwater collected from the roof is stored in an underground cistern and used to irrigate the property while solar panels provide energy. 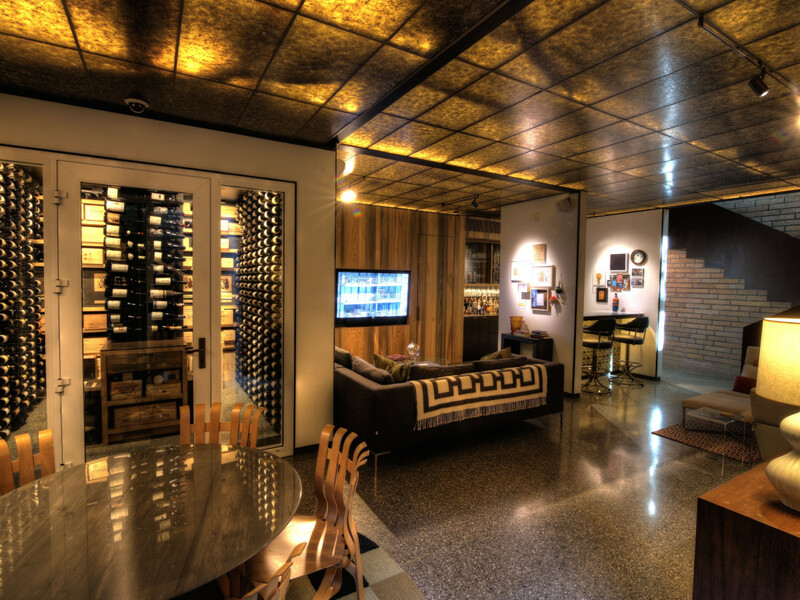 The underground level of the home is pure entertainment space including a media room, kitchenette and bar. 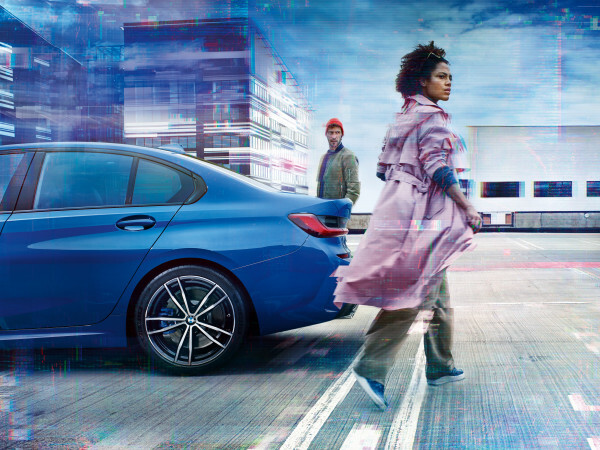 The space is large enough to hold as many as 100 partying guests. 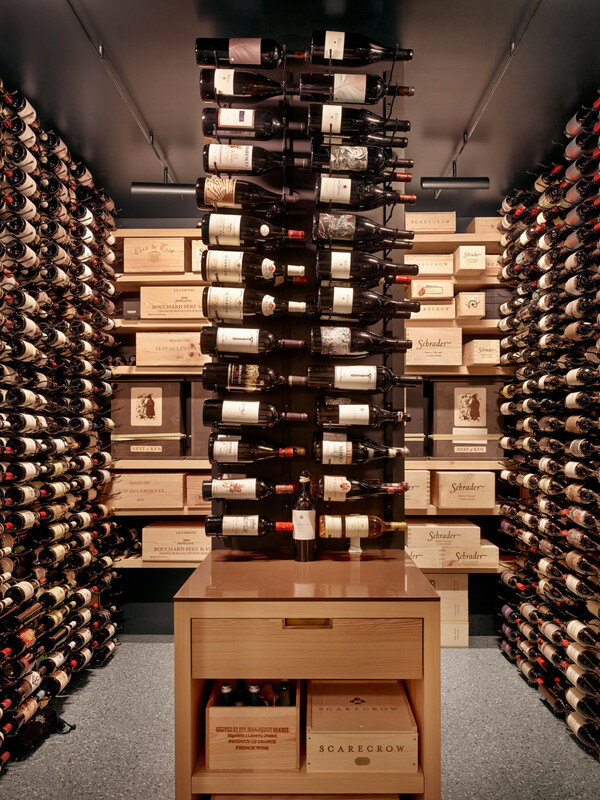 The basement wine cellar holds 3,000 bottles of wine and is illuminated with LED lighting which does not add a heat factor to the climate-controlled space. 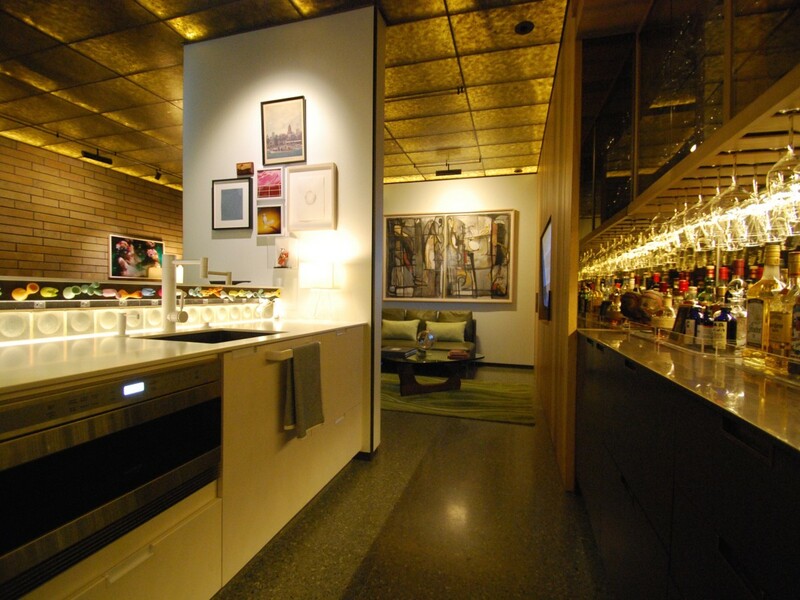 The basement bar is all about underground glamour.